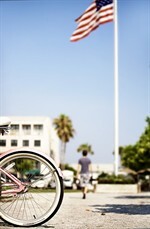 Looking for a fun activity for the family during Memorial Day weekend in Seaside, Florida? 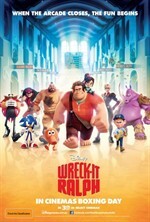 Central Square Cinema: (Friday, May 24, 2013) – Grab your blankets and head to the Seaside, FL Amphitheater at 8pm to enjoy a showing of Wreck-It Ralph under the stars! Juicy every Saturday morning. After Memorial Day the market will also be open on Tuesdays from 8am – noon. Get your pick of fresh produce, baked goods, dairy products, native plants and many other unique during the Seaside Farmers Market. Find local specialties that will help sustain your growers! Enjoy special cooking demos and activities that will enlighten your morning! Click here for more information. Memorial Day Weekend Concert (Saturday, May 25, 2013) – Join friends and neighbors for a special Memorial Day Weekend Concert with Bill Garrett and Coconut Radio. Kick start your summer season with live music that will begin at 7pm in the Seaside, FL Amphitheater.